A couple of days ago we celebrated a massive milestone for the Rock Farm. We sold our first lambs!!! Three adorable ewe lambs were sold to a delightful family not far away for their hobby farm. I could go on about the virtues of the magnificent Wiltipoll and how suitable they are for small farms like us, but that is not the purpose of this post. 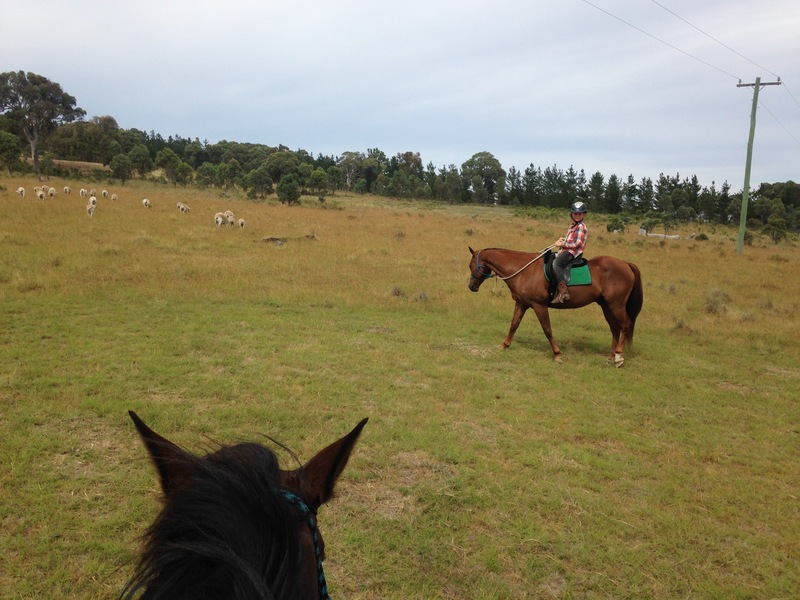 With two wannabe stockmen in the family, it was a perfect opportunity to put their mustering skills to the test! 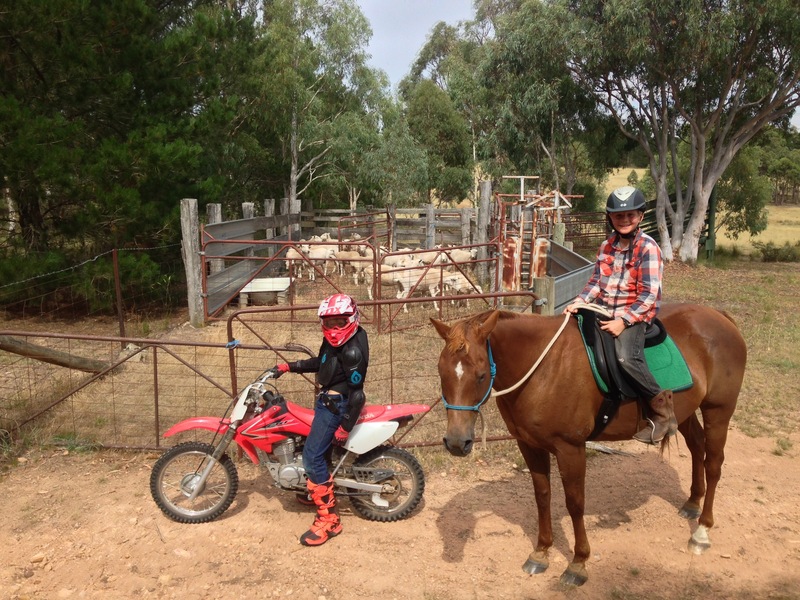 It also was an opportunity for the Little Helpers to compare their preferred mustering method… horse or motorbike! In no time at all, the boys had checked the boundary and confirmed all the sheep were enjoying a mid morning nap in the shade. Unfortunately for the Little Fisherman, the sheep are very quiet, and assume the motorbike might also be associated with a bucket of oats, causing a slight hold up in proceedings. The horses however were a less familiar proposition for the sheep, and they quietly pushed the sheep out from their shady mid-morning siesta. The horses both have far more experience than either of their riders (The Little Helper and myself) at this game, and put themselves in exactly the right place to push the sheep gently towards the yards. The Little Fisherman had a great time on his motorbike, but found it hard to match his speed to the sheep. He also had the added complication of having to ride around obstacles that the horses just stepped over. 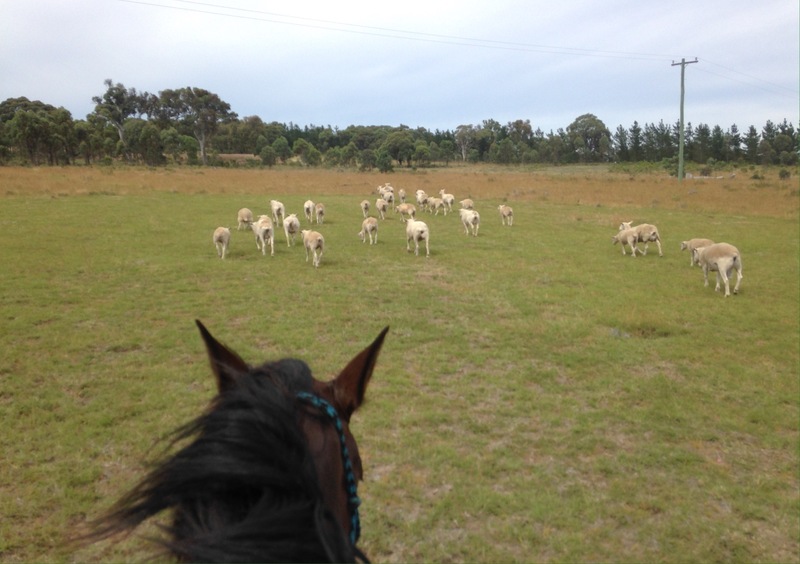 A last-minute dash for freedom by a couple of cheeky ewes was quickly rounded up by the ever watchful horses, and a moment later all the sheep were safely ensconced in the yards. Well nearly. Whilst the Little Fisherman wheeled his motorbike up to the shed, switched it off and isolated the fuel, the Little Helper had a couple more jobs to do. Our trusty steeds, Mater and Dusty were given a refreshing shower and rub down before being put back in the paddock. And so the debate still rages in our family as to which method of mustering is best. The horses have a natural intelligence that means they naturally will work the stock and keep them together. The motorbike however just sits in the shed until you need it, and doesn’t require anywhere near as much maintenance as the horse. 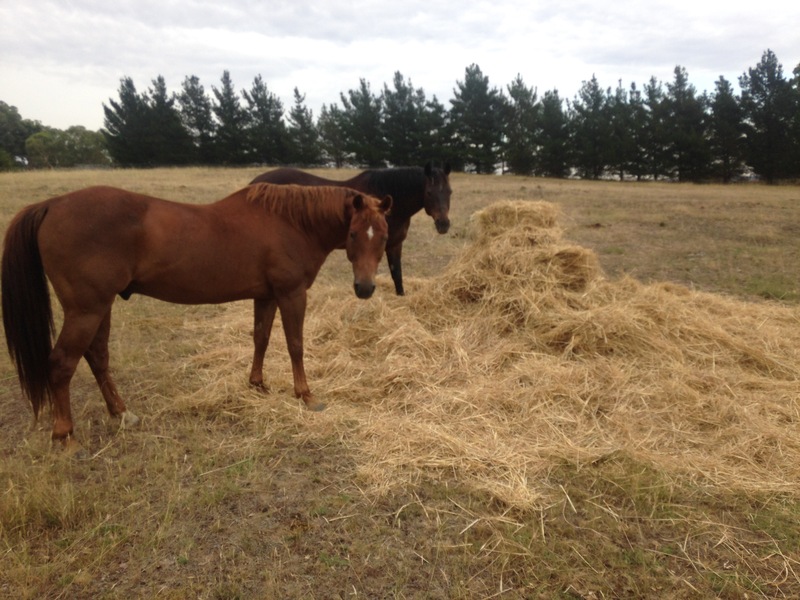 It must therefore come down to other attributes… The horses were put back to work manufacturing quality garden fertilizer by processing pasture hay – which is something no motorbike could ever do!